The Magellan eXplorist 200 is on the smallish side at 4.5 inches tall and about 2 inches wide. Its lightweight too, at only 4 ounces including a pair of AA batteries. It carries the screen mid-case with pushbuttons below. Everything is downsized somewhat, the eXplorist screen measures 2.3 inches on the diagonal and it uses the smallest pushbuttons of unit weve tested. A micro joystick serves as the up/down, left/right arrow keys and the enter button. Seven other small pushbuttons are located around the joystick and are clearly marked with both symbols and worded labels. Like the other units that share this layout we found the Magellan eXplorist 200 difficult to hold and operate with one hand. The menu page on the eXplorist has a dedicated pushbutton. Successive presses of the Nav button display each one of four navigational pages. The first one is the Status page, which shows a partial world globe with tracked satellites in position and a signal strength bar below. Next in order is the Map page. This one shows very limited land/water areas and no actual marine information. It can also display a pair of data boxes at the bottom of the screen. Only nine items are available on the list of data choices, too short a list, in our opinion. The third navigation page is called Compass; this one displays a compass rose and two data boxes. The final page is the Position page listing current position, battery status, date/time, a trip odometer, and a signal accuracy number. 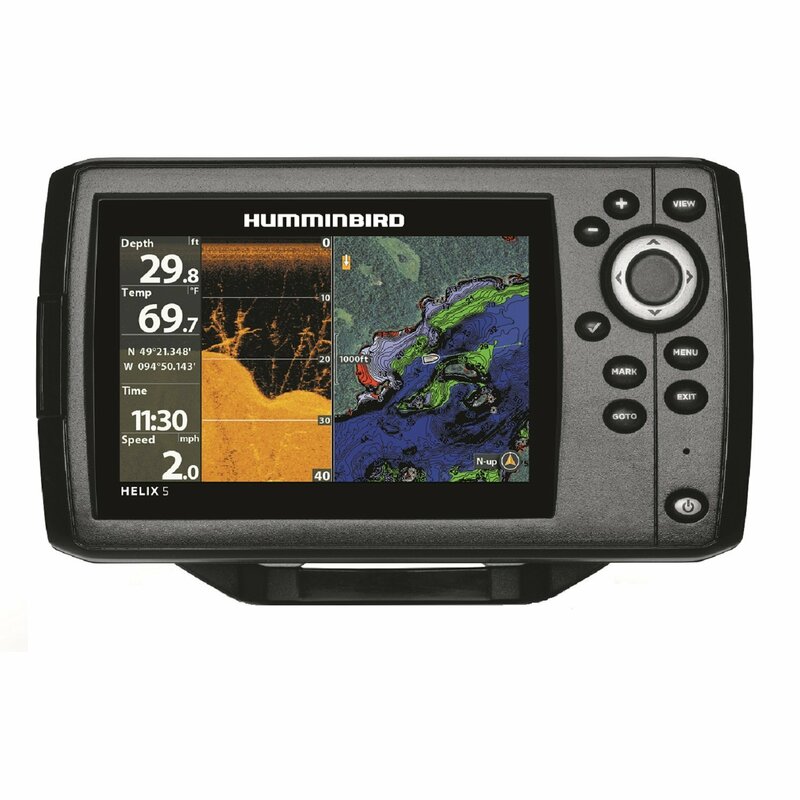 The lack of marine information, limited software versatility, and the fact that waypoints in the eXplorist are referred to as My Pts of Interest lead us to believe this unit is not aimed at the mariner and will have limited usefulness of most boaters. Backlighting is activated by a pushbutton on the upper left side of the case. Two levels of red light are available for the screen but none of the control buttons are lighted. In our opinion, this would make difficult at best to operate this unit in the dark of night. Daytime screen viewability was good. Battery compartment access is on the case back and the eXplorist does not have a data port or alternate power cable hook-up. The Magellan eXplorist 200 will store up to 500 waypoints and as many as 50 routes. It carries a one-year warranty. In our opinion, the eXplorist 200 lacks the ergonomic features and software versatility demanded by mariners.